A portable tavern on wheels is ready to roll to your next event, or park next to your tiny house in your tiny neighborhood. Meet the Tiny Tavern. The 160-square-foot traveling saloon caters to wedding parties, music festivals, or birthday bashes, and offers a host of fold-away and traveling bar games for a unique twist. Saddle up to the bar, play some corn hole, test your balance on the slack line, and relive the magic of your college days with the foldout beer pong table at the Tiny Tavern, brainchild of tiny-home builders Jesse Russell and Kit Blackwelder, longtime friends and co-founders of Tongue and Groove Tiny Homes in Bend, Ore. 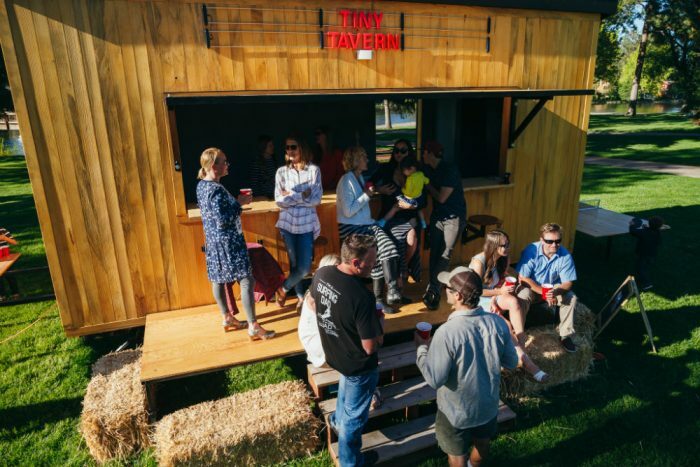 Completed just last month for its inaugural run this summer, the Tiny Tavern is a new spin on the mobile food-truck and retail party setups that capitalizes on the surging tiny home movement. 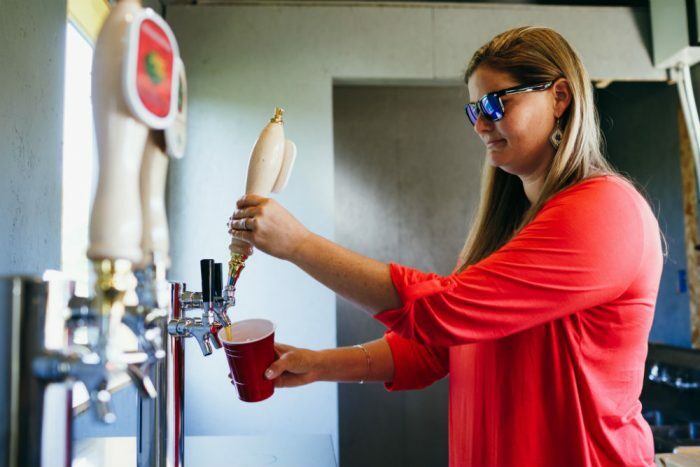 For about $1,000, Russell will deliver the diminutive pub, six taps, six stools, and a full array of lawn games to your event and for 24 hours. For a fully catered event (lots of booze, full bar, and licensed bartender), there is an extra fee – based on need and location. Otherwise you’re responsible (capital “R”) for supplying kegs and vending to your guests. 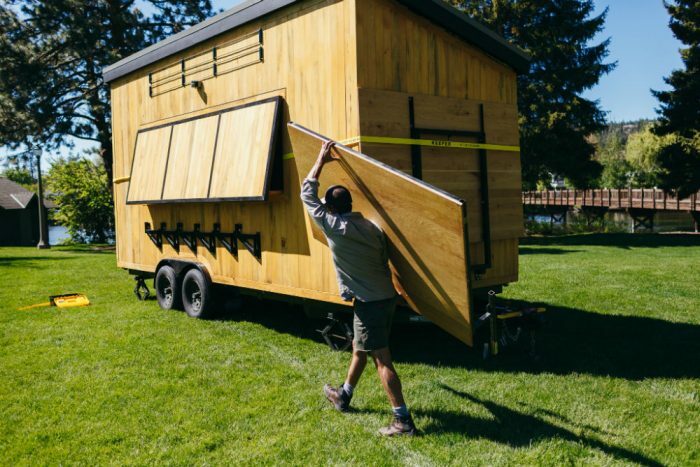 In line with the tiny house movement, the concept works off the kitsch appeal, portability, and inventive space-saving on which Russell has earned his living as a tiny home designer and builder. “The bar folds down, the stools tuck away, and the beer pong and ping pong tables fold into the sides,” Russell told us. Everything fits either inside the tavern itself or in his truck. It only takes about an hour to get the games set up and bar open for business. Currently, the Tiny Tavern is available in and around central Oregon, with planned builds for a Portland pub and southern California speakeasy as the kinks are worked out. For the truly adventurous – or for those who’d like to make a go at becoming a tiny barkeep themselves – Russell plans to make the whole shebang into a DIY build kit with plans and materials offered for purchase. Early estimates put that package at around $45,000. For now, the tavern is available for reservation on its website – only a few dates have been booked for the mostly unadvertised schtick. 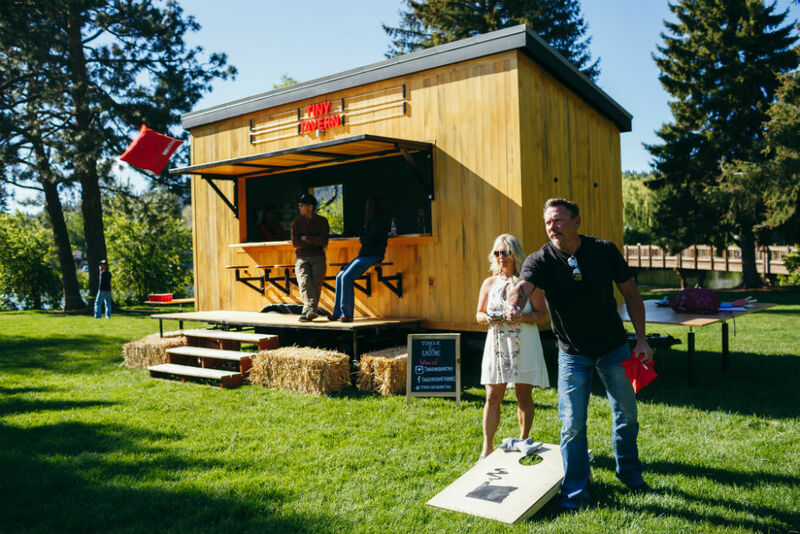 If you’re in the central Oregon area, look for the Tiny Tavern throughout at the summer at public events, where Russell and crew will serving suds to drum up some publicity of his concept.